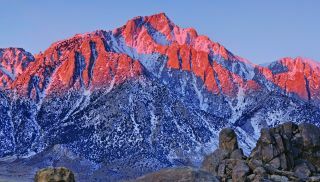 Apple's latest, and greatest, operating system is here, and if you haven't already installed it, check out our guide on how to download macOS Sierra. We've already shown how you the best new features of macOS Sierra in our macOS 10.12 Sierra review, but in this guide we're taking you into exactly how those features work and what you can do with them. We'll begin with the new Universal Clipboard feature, which takes Apple's initiative for easier cross-device working even further, and show how Auto Unlock works with watchOS 3. We'll also look at how iCloud Drive, Photos and Messages have changed, and the capabilities of Siri on the Mac desktop. Finally, we'll talk about APFS, Apple's new file system, expected in an update in 2017. Photos arrived in Yosemite, but it's taken until now to become really intelligent. The brand new Memories feature collects groups of related images to create a movie, while improved search makes large libraries more manageable. Messages on the desktop will reflect the big changes in iOS 10. You can now interact with messages (similar to a like on Facebook), add stickers, new emoji and animations, and see Digital Touch drawings, just like on Watch. Siri is getting more powerful with every iOS and tvOS release, and now it's the turn of the Mac. Its rather limited at the moment, but expect to be able to get more than just a list of files you've worked on or nearby recommendations. macOS Sierra is transforming the concept of the desktop workspace. Essentially, your desktop will become available in iCloud Drive so you can get to its contents from another device. "Never lose another file" just became a reality! This article is part of TechRadar's Mac Week. This year marks not only the 10th anniversary of Apple's MacBook, but the triumphant return of macOS. So, TechRadar looks to celebrate with a week's worth of original features delving back into the Mac's past, predicting the Mac's future and exploring the Mac as it is today.